Inspired by Celeste the #Corgi: Destination Freedom! Meet Celeste! She’s a former puppy mill girl purchased at auction by rescuers. From cage to home, this girl is now living the life she’s always deserved. She may have spent eight years making puppies, but she’s going to spend the next eight being a member of her new family. 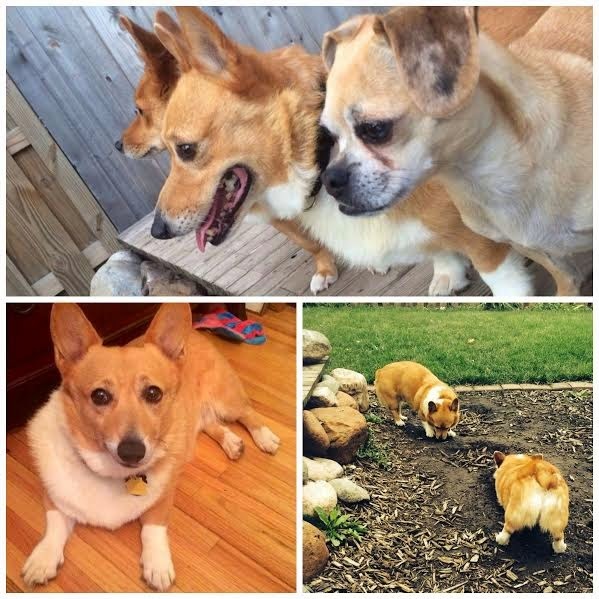 Yesterday, I got wind of a joint effort between Corgi Connection of Kansas and Secondhand Hounds to buy eight more Corgis from a Missouri breeder auction this coming weekend. 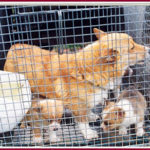 If these two groups can raise enough money by Friday, they can purchase the Corgis and take them entirely out of the puppy mill system. Forever! The dogs will know the freedom of a frap and the love of their very own humans. For keeps. We all know dogs deserve this (and more), and you can help make it happen for them! Time is of the essence and they need our help now. Donations are tax deductible, and any money not used for the purchase of these dogs will go towards their vetting, or towards future dog auctions. 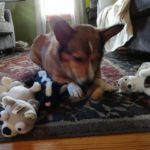 I am careful about which organizations I fundraise for here on The Daily Corgi, and both Secondhand Hounds and Corgi Connection of Kansas have stellar reputations and records of effecting real change in the lives of dogs in genuine need. I am MORE than happy to spread the word about the work of these 501(c)(3) non-profits. 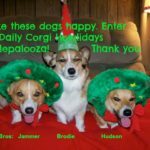 Please visit corgiconnection.com to donate today! Look for the yellow PayPal button on the left hand side of the home page. 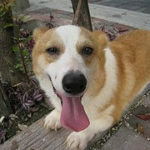 Kindly make a note (in the PayPal message field) that your tax-deductible donation is for Auction Corgis. No amount is too small. For example, if five dollars buys a gallon and a half of gas, your five dollars effectively buys that many miles for dogs on the road to a better life. What you give really matters. Every dime, every time. Thanks and Corgi On, my friends! Benny Corgipants and the spoils of victory! Donation sent. Only wish it could have been more. I am blown away by the work these caring people do. Right on, dirtynailz!! Thank you. Read this and had tears of gratitude running. I love you for posting this. Donating in memory of Izzy. I remember Izzy. She was pretty special. Thank you for donating, for caring and for commenting, Marci. Go get them, wish I could give more than money. I just lost one of my guys at 14 1/2 last week and still feel like I am in a trance. It hurts so much. But it also hurts to see how some people can treat these precious babies. Good for you people I really admire you. Kathleen (Dressie), I'm so sorry for your loss. It's never, ever long enough with them. Never enough time. Thank you for supporting the work of the rescue. I hope to report that they got every one of the Corgis up for sale out of the system, after this weekend.